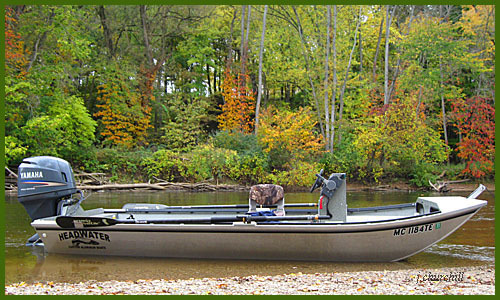 Our Custom Aluminum Guide Jet Boats for Michigan’s unique rivers and fishing styles. Fish in comfort. Our Jet Boats are top notch keeping your comfort in mind. Comfortable boats seats with lots of room to move around and fight big fish! 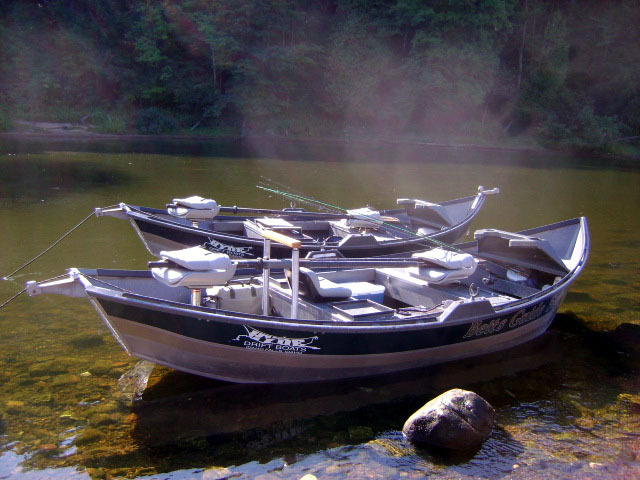 Our quality custom aluminum jet boats have our clients in mind. Michigan has shallow rivers with rocks and shallow gravel where we guide. Our boats are built with that in mind. Shallow draft, speed, and exceptional rowing is all key to building a superior jet boat, all things have been taken into consideration with a boat that will handle well and stand the test of time.